Walter Mosley, "one of crime fiction's brightest stars" ( People), returns to mysteries at last! 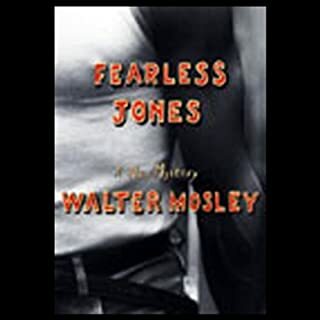 Fearless Jones is a dazzling new thriller, set in 1950s L.A. and featuring the most engaging hero since Easy Rawlins. Easy Rawlins, LA's most reluctant detective, comes home one day to find Easter, the daughter of his friend Christmas Black, left on his doorstep. Easy knows this could only mean the ex-Marine Black is probably dead or will be soon. 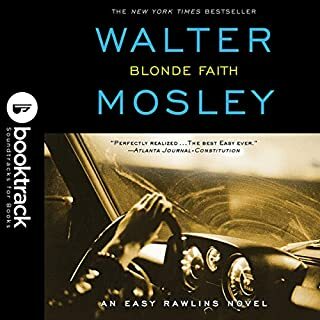 Blonde Faith: Booktrack Edition adds an immersive musical soundtrack to your audiobook listening experience! His name is etched on the door of his Manhattan office: LEONID McGILL , PRIVATE INVESTIGATOR. It's a name that takes a little explaining, but he's used to it. Ex-boxer, hard drinker, in a business that trades mostly in cash and favors: McGill's an old-school P.I. working a city that's gotten fancy all around him. Fancy or not, he has always managed to get by - keep a roof over the head of his wife and kids, and still manage a little fun on the side - mostly because he's never been above taking a shady job for a quick buck. In the beginning, Ezekiel "Easy" Rawlins and Raymond "Mouse" Alexander were merely two young men hitting the road. In a "borrowed" 1936 Ford, they head for Pariah, Texas on a mission to retrieve money from Mouse's stepfather so he can marry his EttaMae. But on their steamy bayou excursion, Mouse chooses murder as a way out, while Easy's past liaison with EttaMae floats precariously in his memory. Easy and Mouse are coming of age - and everything they ever knew about friendship and about themselves is coming apart at the seams. Mosley is a master of the time machine! For Vito Corleone, nothing is more important than his family's future. While his youngest children, Michael, Fredo, and Connie, are in school, unaware of their father's true occupation, and his adopted son Tom Hagen is a college student, he worries most about Sonny, his eldest child. Vito pushes Sonny to be a businessman, but Sonny - 17 years old, impatient, and reckless - wants something else: To follow in his father's footsteps and become a part of the real family business. Paris Minton is a man who would just as soon walk away from trouble as stand up to it. But in 1950s Los Angeles, sometimes trouble just comes and gets you. Fearless Jones shows up at Paris Minton's door one night with a simple request: an attractive woman has asked him to help her find her husband, a man Fearless worked for briefly, and Fearless wants Paris to take the case with him. The next morning, a suspicious stranger shows up at Paris's door, and he's asking after Fearless Jones. A few short questions later, Paris is running for his life, tangled up with one of the wealthiest women in L.A., and wondering whom he should fear more - the people he's looking for or the people he's working for. One misstep at a time, he tumbles into the most complex and terrifying situation he's ever found - one that even his invincible friend Fearless may not be able to save him from. Listen to a conversation with Walter Mosley. 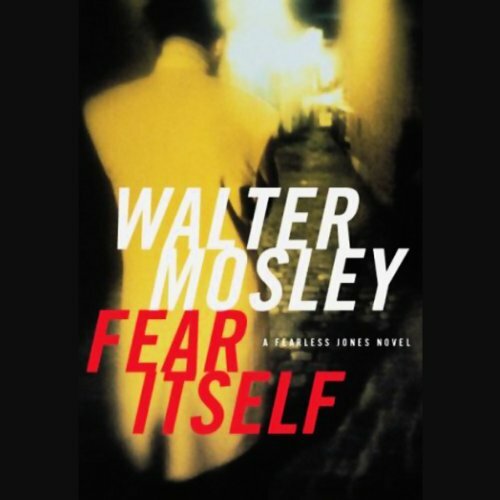 &$169;2003 Walter Mosley. All Rights Resaerved; (P)2003 Time Warner AudioBooks. A division of the AOL Time Warner Book Group. 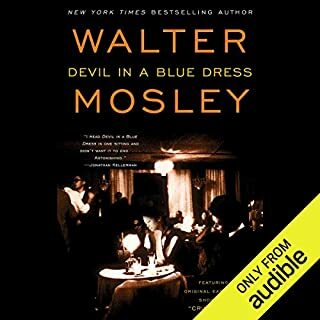 I have been listening to the Walter Mosely books on audible for a while now. This one is really one of the best. If you haven't tried Mosely, start with this one. You get some really great characters, with a story line that keeps you guessing until the end. And the narration by Don Cheadle -- PERFECT! He captures nuances of character that few narrators attempt. The story revolves around Fearless and his friend and bookstore owner, Paris. Fearless gets into trouble when he tries to help a woman, and brings Paris along for the ride. The story is for adults. It contains some sexual situations and a few (but not that many) expletives. Give your ears and mind a treat. Take this book for a listen. This is one of the best books I have listened to. The story is fast paced, believable and the characters are multi-dimensional. The relationship between Fearless and Paris is fascinating, and can't wait to hear their next misadventure. The thing that sets this book apart from many others, though, is the narration by Don Cheadle - a great actor who played Mosley's "Mouse" in the movie version of "Devil in a Blue Dress". This narrator is the best! The book is a good, satisfying, typical Mosely story. But the narrator is just fantastic. He is the first male narrator who isn't afraid to give his female characters individuality and depth instead of speaking in a silly falsetto. Don Cheadle must be a really good actor. All the characters are completely drawn through Mosely's clever details, and Cheadle's virtuoso performance. Very entertaining and somewhat thought provoking. 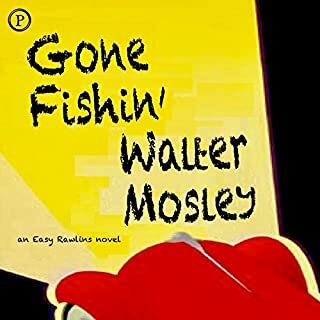 This was the first book I have listened to written by Walter Mosley. I loved the characters and the story. It is fast paced and had a great story line. Mosley is great! Paris Minton and Fearless Jones are an interesting departure from EZ Rawlins and Mouse. I really enjoy how Paris keeps emphasizing himself as a coward. And it's great to see Mosley's Los Angeles from a couple different angles. Don Cheadle gives a GREAT reading. This is what audiobooks are all about! I haven't liked a reading so much since Ossie Davis. Don Cheadle is an excellent actor and he does a wonderful job with this book. It helps that Mosely is still great and Fearless, et al are great characters. Intriguing story wonderfully narrated. 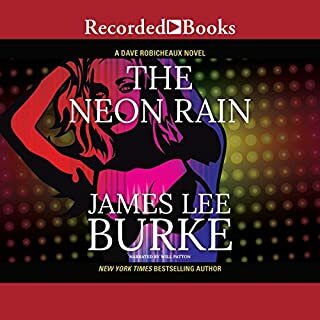 This is a first-rate book to listen to and enjoy. Mosley's characters come to life when Don Cheadle speaks. The story is engaging, the narration tops the charts...when's the next one coming? After listening to classic books read by veteran actors Jason Elliot Gould and Samuel Jackson, I was TOTALLY turned off by Audible's epiphany that seasoned A-list actors would be an asset to audiobooks. NEGATORY!! Gould completely ruined a classis Raymond Chandler book with hokey stereotypical voices for minority actors. Plus there is sooooo nothing of the "square jaw, booze guzzling, skirt chasing, glib, fearless attributes" of detective Phillip Marlowe in Gould. The book was a mess, Next came Samuel Jackson in "A Rage In Harlem" by Chester Himes sounding like he was reading for a episode of "Amos & Andy"! I was waiting for "The Kingfish" to appear any minute! A good actor does not automatically equate in a good narrator. I wanted to stick a pencil in my eye while trying to listen to these books. After Jackson, I was done with books by black authors being ruined by inexperienced actors. Then along came Don Cheadle! He took an already good story to a whole new level. His understated delivery was perfect for this book. I say "Audible, please stop trying to be overly relevant using so-so actors in an area that is not their forté!" Don Cheadle has been the rare exception, Walter Mosley is a top author of black novels and he was fortunate enough to have super star Cheadle to give the readers a great performance. 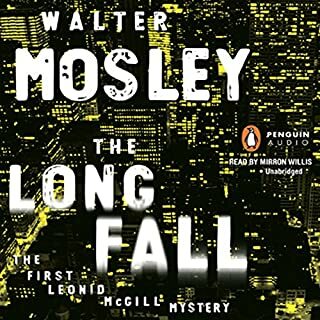 If you like Mosley's, you will love this audiobook. The best part of this story is that the combination of the story and excellent narration takes the listener back to the Los Angeles of forty years ago. If you are looking for a good story to pass the time while on a trip, Fear Itself fits the bill.